Read what others say about our services! We have just returned from Budapest and used your transfer service. This is just a vey quick note to say a really big well done. Drivers were both excellent, helpful, on time and very pleasant; cars very clean. We will certainly use you on our next visit and recommend you to friends. 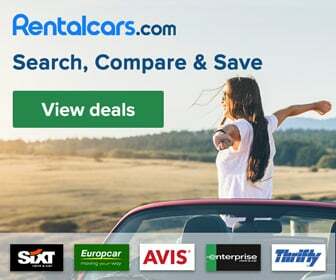 I want to thank you for the excellent service provided from the moment I made the booking via your web site to the collection for the transfer my hotel back to Budapest airport. Your web site is very easy to use – I needed to amend one of the transfers and it was done without any problem. The drivers were waiting for me on both trips and the cars used of very high standard. I just want to give you my thanks for a good and reliable transportation from and to Budapest Airport. Kind and friendly drivers took care of us and I will recommend you to future customers. Great for people on their first visit to Budapest. Driver was waiting for us at the airport and we had a no hassle journey to our hotel. Same for the return journey, driver arrived five minute early. The price less than the normal taxi fare. Will certainly use again and would definitely recommend. The service was perfect! Very recommended for any transfer in Budapest. Thanks a lot! Ein Service der nur zu empfehlen ist !! Netter Empfang am Flughafen von einem Aeusserst freundlichen und sympatischen Fahrer mit sehr guten Deutsch Kentnissen, pünktliche Abholung am Abreisetag. Dieser Service ist zu 100% weiter zu empfehlen. Top, Daumen hoch !! Wonderful service. The car was clean, driver professional and courteous and on time. I highly recommend the service. Simple booking system with quick confirmation response. On arrival at Budapest airport it was very busy but found our name on the board easily. A 5 minute wait and our driver arrived and we were quickly on our way. Driver very friendly (Istvan). He have gave us lots of local information which was very useful. We booked a return pickup and again driver prompt and courteous. Couldn't fault service and would highly recommend. Had we not booked in advance there would have been a 1 hour wait for a taxi !! Perfect organization. Clear website, very easy to book. Excellent service @ reasable prices.Both transfers worked perfectly. I certainly recommend this friendly company to my friends. We definitely want to use it again. Thank youðŸ˜€as i told the big boy drive i will give them a big LIKE. :-) I really was satisfied from arrival and even when reserved the depart transfer no need to worry safe ride and safe timing.I recomand them for s*** no problems at all. Hat alles wunderbar funktioniert. Pünktlich am Flughafen bzw. am Hotel abgeholt worden. Excellent service. The driver who took us back to Budapest airport was very kind and friendly. On time and the 7 seater was comfortable and clean. All'arrIvo tutto ok, ma per il ritorno dall'hotel all'aeroporto non si sono presentati; solo dopo aver chiamato, visto il ritardo, hanno mandato un taxi. Abbiamo rischiato di perdere il volo. Hallo, der Transfer lief großartig. Die Website ist etwas unkonventionell und teilweise schlecht übersetzt aber der Transfer selbst lief problemlos ab. Netter Kontakt und super Service. ho usufruito per la seconda volta del servizio di questa societá di transfer, prima Praga poi a Budapest servizio impeccabile in tutte e due le situazioni ed a buon prezzo. Complimenti, quando sará possibile li ricontatterá tranquillamente. Ci siamo trovati bene, eravamo in sei persone, sicuramente seri e puntuali. Il personale aspetta i clienti fuori l'uscita del ritiro bagagli, con delle lavagnette con su scritti i vari nomi dei clienti, unico appunto i nomi dei clienti dovrebbe essere scritti un po piú grande, per il resto tutto perfetto e conveniente. 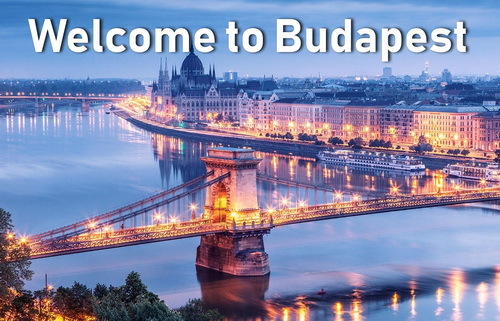 Budapest Airport Transfers provide a great service at a very reasonable price. Clean comfortable cars and very friendly helpful drivers. No hesitation in recommending B.A.T. Booked airport transfer with less than 24 hours notice for daughter and 2 friends. Very friendly staff and immaculate vehicle. Two drop off points catered for no problem. Very happy with service, would use again and would recommend too. Ottima compagnia: serietá , puntualitá e convenienza. Il personale á¨ molto organizzato e aspetta i clienti fuori l'uscita del ritiro bagagli, sulla sinistra con delle lavagnette con scritto i vari nomi dei clienti.Forse solo i nomi dei clienti dovrebbe essere scritto un po piú grande .Ti accompagnano alla navetta oppure all'auto (solitamente taxi in convenzione).Nostro autista ,sempre lo stesso anche nel viaggio di ritorno, era simpaticissimo e l'auto era pulita e ben tenuta.Anche se il ns. mezzo era un taxi sei sicuro, con il servizio transfer, di non prendere fregature e di pagare il giusto.